Visiting a new culture is an adventure you’ll remember for a lifetime. No matter what part of the world you’re lucky enough to see, the local customs, colours, smells and cuisine remind you how far you’ve travelled and how much there’s to learn about the people of the world. But, to gain a deep insight into a truly unique culture the best way is to join in with their annual festivities and celebrations, from the Santa Cruz carnivals in Tenerife to the La Tomatina in Spain - each of these celebrations offer a glimpse into a strange land, from the fun and colourful to the weird and wonderful, here are a few festivities you won't want to miss. 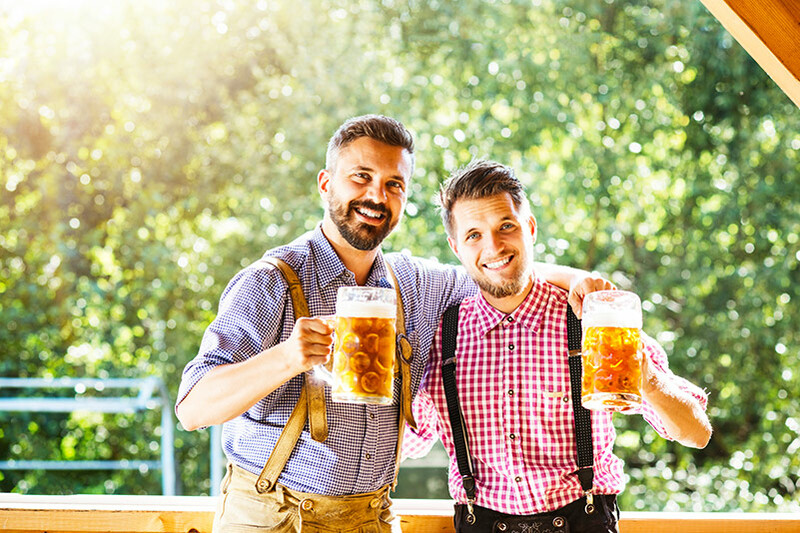 The Bavarian custom of dressing in traditional clothing, while enjoying enormous beers, fun fairgrounds and delicious food is celebrated annually in Munich, Germany and Bavaria. All this merriment began when King Ludwig I, married Princess Therese of Saxe-Hildburghausen in 1810. The pair invited the locals to come and join in the festivities and for 16 weeks a year the celebrations continue to this day. Every year pubs in Ireland are decked with four-leaf clovers and ginger-bearded leprechauns in celebration of St Patrick‘s Day. 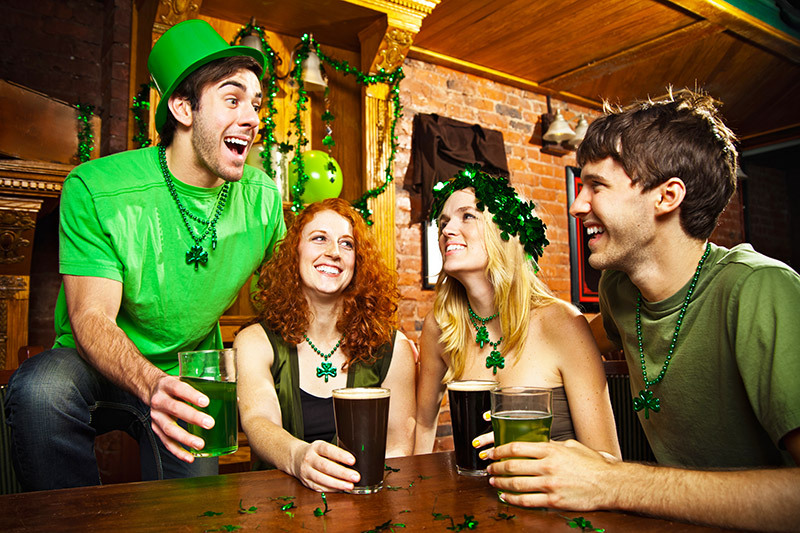 Across Ireland, England and America people come together and celebrate the death of Saint Patrick, the former Patron Saint of Ireland, with drinking, singing and general merriment. New Year may have passed in this part of the world, but in Thailand it’s just beginning. Across the country people are gearing up for the largest water fight you’ve ever seen. Thai new year, also known as the Songkran festival, begins in the mornings, when water is poured onto the head of Buddha statues, in the temples, a symbolic ritual to symbolise washing away sins and bad luck. Later in the day things get a little hectic as the ritual is taken to the street and people splash water at one another. Roads are closed to create an arena for the festivities. Imagine a sea of striking, mysteriously masked people. 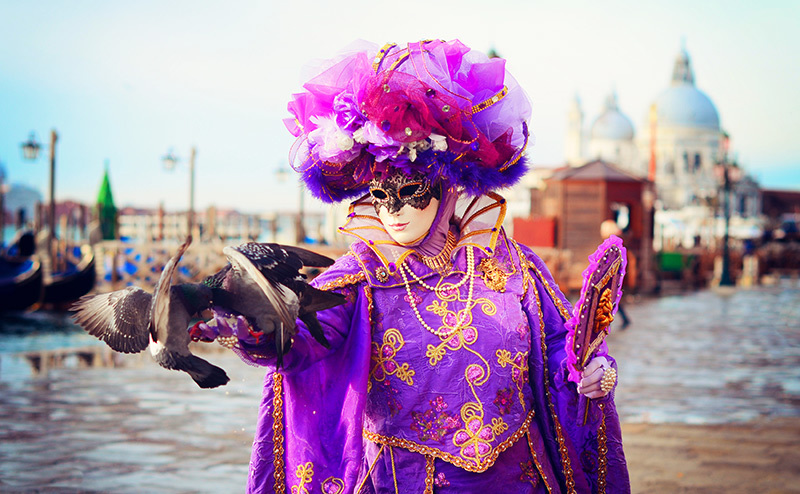 It may seem like something from a Tim Burton film, but every year people flock to Venice with intricate costumes and shockingly beautiful masks to take part in the famous venetian carnival. 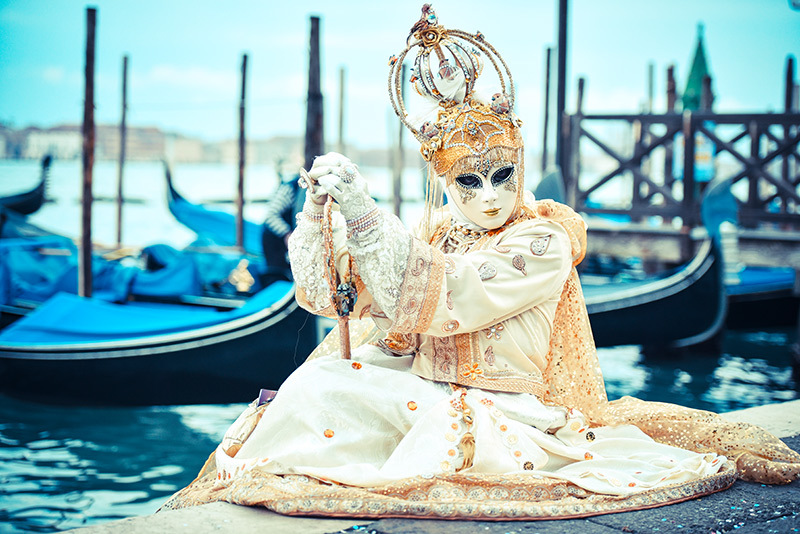 Although, it’s not officially known when the carnival began, but it's said it started after a victory of the Serenissima Repubblica against the Patriarch of Aquileia, Ulrico di Treven in the year 1162. In honour of this victory the locals gathered in San Marco’s square to sing and dance. Now it has flourished into a grand affair that ends with the Christian celebration of lent. 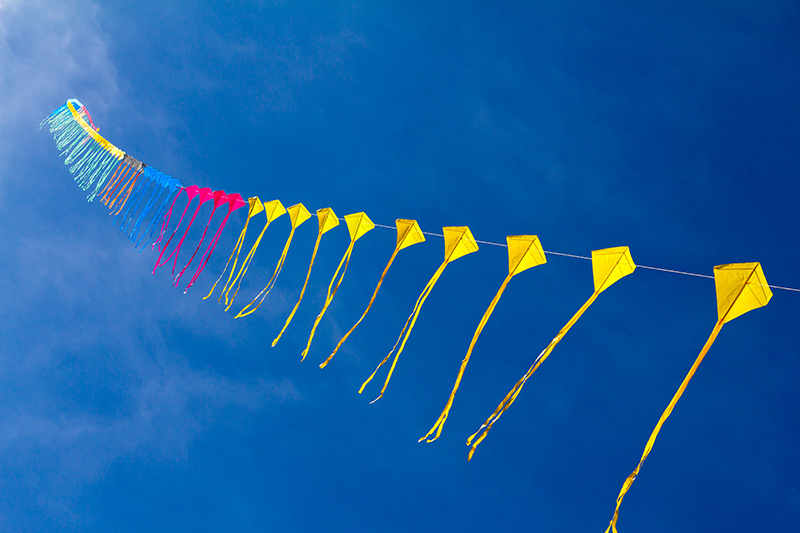 The art of flying a kite is becoming less and less popular with the increase of technology, but there are still those who practise this talent and each year you can find them competing in the international kite festival, in France. People come from all over the world to try and win the title of world champion and over 700,000 people travel to Berck-sur-Mer beach just to watch. 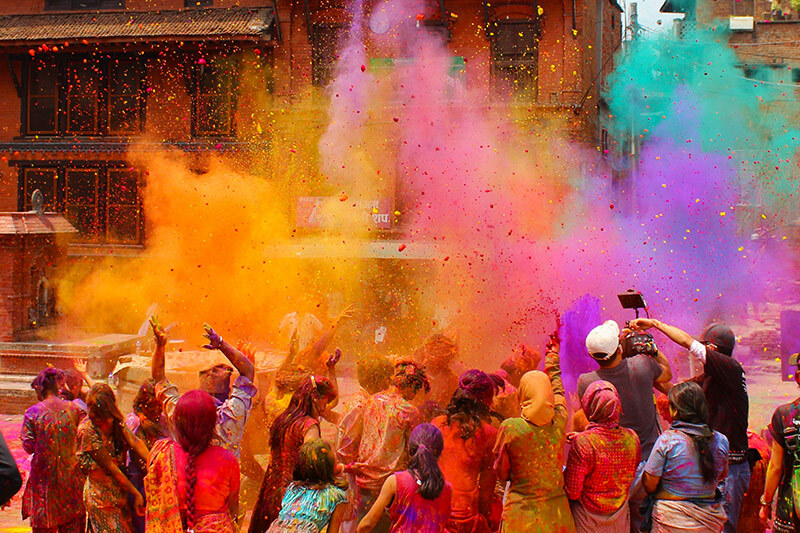 No doubt you’ve seen people throwing brightly coloured powders at one another, in the exotic land of India. Well, this may look very fun but it serves a purpose. The Holi festival (also known as festival of colours) is a celebration of goods victory over evil, as they say goodbye to the winter and welcome in the spring. The beginning of the festivities vary from year to year and can begin anywhere between the end of February to the middle of March. So, which celebrations will you be joining in with this year?